Duplicate files are not such a big problem anymore for most users, unlike a few years ago. This can be mainly attributed to the increase in storage space of the average PC. Even one Gigabyte of duplicate contents does not mean a lot if the PC has storage space of 1 Terabyte or above. Still, there are situations where it makes sense to find and delete duplicate files. Users with Solid State Drives for instance need to take good care of the space that is provided by their SSDs. The same is true for users of older PC systems. And even users who have lots of space may want to consider removing duplicate files every now and then, to free up disk space but also for usability reasons. 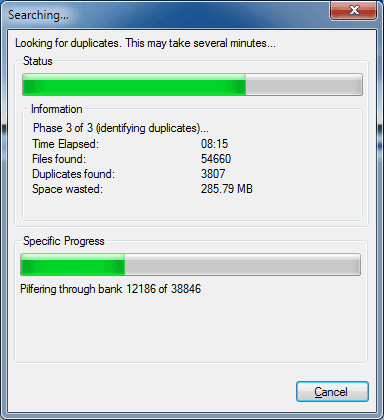 Duplicate Commander is a free software for Windows for this exact purpose. The program is compatible with 32-bit and 64-bit editions, and requires the Microsoft .net Framework 4.0 to run. On first glance, it looks like a standard duplicate file finder. A click on Search opens a folder browser to add folders to the search. Only a handful of options are provided, including the ability to filter by file type or size. A byte by byte comparison can be launched from the listing of results. Duplicate Commander then processes the files in the selected directories based on the configured rules. This can take some time, depending on the speed of the hard drive, the performance of the computer and the amount of files stored in those directories. The status window displays the progress of the operation. It includes a progress bar, and information about the number of duplicates found, and their size on the disk. Once the scan has finished a list containing all duplicate files found is displayed to the user in the main program interface. Duplicate files are linked, and checkboxes are provided to select some or even all to deal with them. Controls are provided to make the selection easier. It is for instance possible to click on a button to automatically select specific duplicates from the list, for instance the first or last of the group, the oldest or newest, or the duplicate with the smallest sizes. Once duplicate files have been selected, it is possible to click on the delete button to remove the files from the system, or use the unique hard links option to create hard links to the remaining files. Creating hard links offers an interesting alternative to deleting the files outright. Creating those links ensures that the system still acts as if the files exist in the location, even though they have been deleted by the duplicate file finder. This obviously makes a lot of sense if the user is unsure about the consequences of deleting the files outright. Duplicate Commander is available for download at the developer website. The hard link feature makes it a very interesting option for users who want to delete duplicate files from their system. Duplicate File Hard Linker (DFHL) is good console alternative, and it don’t link MFT – located (small) files by default. I don’t remember where how I found it, and https://www.ghacks.net/index.php?s=DFHL gives 404 for me. Remove all the unwanted, duplicated files from your machine. Software name is DuplicateFilesDeleter. 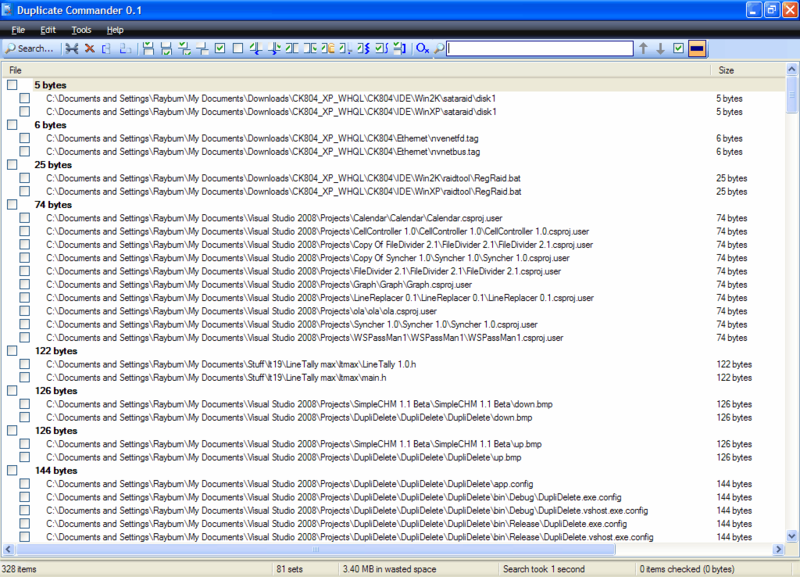 An alternative duplicate file finder is Clone Tools that has a folder based approach. It will find all folders with shared content and helps you clean them one by one. I would recommend Duplicate Files Deleter in this case. It helped me to find and delete duplicate files from my hard drive. http://www.DuplicateFilesDeleter.com! Very powerful tool!